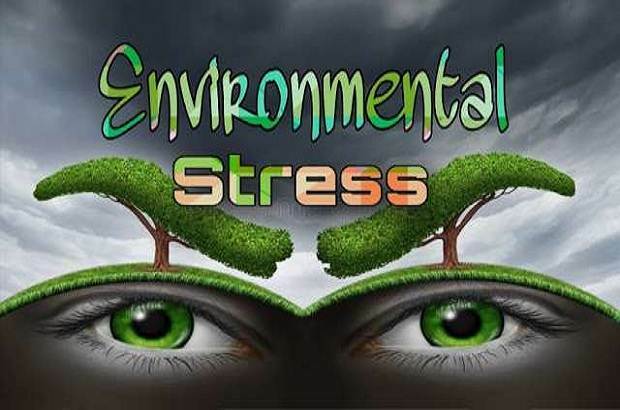 Home / Environment / environmental exposures / environmental stress / health informatics / psychological state / social psychology / stress management / Environmental stress-How environmental stressors affect our physical and mental health? Environmental stress-How environmental stressors affect our physical and mental health? Environmental stress: Types of environmental stressors-How they affect our physical and mental health? Stress is defined as a condition, variable, or circumstance, which hinders the normal functioning of a person and most of the time, the cause of danger. It is a multi-faceted process that occurs in reaction to events or situations. In aviation, the source of stress that comes from the environment is known as environmental stress. An interesting feature of stress is the wide range of physical and psychological reactions that occur to different people for the same phenomenon. Trends in pressure are greatly influenced by human factors, for example, population growth increases the demand for housing, energy production, and food etc. Indicators of environmental pressure reflect the impact of human activities on the environment and they lead to the appearance of environmental problems. In general, environmental stress psychology focuses on how people’s mental wellness responds to physical, biological, and chemical stressors. These stress factors can be exposed to natural disasters, pollution, climate change, electromagnetic radiation, or noise. Environmental stress causes both short-term and long-term health effects on the body and mind. The response of the body ranges from a short-term fight-or-flight response to long-term changes to our health. There are many sources of stress in life, some are overt and some less obvious. If you’re trying to live a healthy life, you need to know all the inputs, including how your environment affects you. Here, we will discuss environmental stress and its effects on the body and mind. We face hundreds of environmental stressors daily. When we face stressor, our body reacts in predictable ways. If it is an immediate threat – we spot a venomous snake –our body prepares itself via what scientists call the fight-or-flight response. This subtle stress response can be even more harmful to our health than acute threats because it comes without fanfare. We may experience an unpleasant feeling of anxiety or may think nothing much about the chemical factory at the end of our street, but these constant stressors have serious impacts on our health, longevity, and mental wellness. Because the stressor is constant, we may not realize the long-term effects and the importance of removing it from our lives. Short-term exposure to stress can affect our emotions, reduce our problem-solving ability, and cause other short-term psychological disturbances. During a fight-or-flight response, our body releases a series of catecholamine stress hormones. These hormones cause our body to react in several ways: our breath rate increases, our stomach gets nervous, our heart races, our hands shake and our palms get sweaty. If the threat is severe enough, we might even lose control of our bowels. In contradictory form, contact with some short-term stressors - event stressors also - can help the body in a strong immune system. In these accelerated, sudden hazards, the body redirects "killer T-cells" to the skin, where they promote the immune response. The immune system regularly gives negative feedback for short-term acute stress. The exception is when conditions that triggered the fight-or-flight reaction of the body become regular occurrences, such as domestic violence. Long-term exposure to stress such as environmental stressor can cause blood sugar and depress the immune system and may affect our heart, metabolism, and mental health. Some of these are exposed like legacy chemicals that accumulate in people’s bodies because they are omnipresent throughout the world. Chronic stress reduces the ability of the body to fight infection and keeps the normal process of cell replacement. They can even change our DNA, shortening telomeres which protect against cell damage. Regular contact with stress causes the body to produce cytokines, which reduces the immune response. Cytokine production contributes to a high chance of autoimmune disease, allergic, and critical illness. Constant contact with stress can lead to mental illness, including anxiety, depression, and schizophrenia. Other long-term exposures are very unique which belong to an individual’s location, like living next to a railroad track or surviving a natural. Stress is defined as a condition, variable, or circumstance, Environmental stress theory is the body of science that analyzes how stress factors from the environment affect people, communities, cultures, the ecology of animals, plants, and ecosystems and deals with stress from threatening issues in the environment. In this article, we will focus on how these stressors affect people, and what we can do about them. There are many types of stress factors associated with the environment, ranging from climate conditions to cell phone radiation to life situation stressors. Generally, they do not get a lot of attention but have a big effect on our health. Here, we have mentioned eight types of stressors that can tell us a lot about why we always seem to be on edge. Climate change is one of the biggest climate stresses facing global level. Climate stressors come from weather and climate such as a heat wave or low-light levels in wintertime, or long-term climate shifts. They can last for a season or can be an overall shift. A summer heat that causes extreme high temperatures in a city, whose citizens generally do not use air-conditioning units such as Seattle, is climate stress. 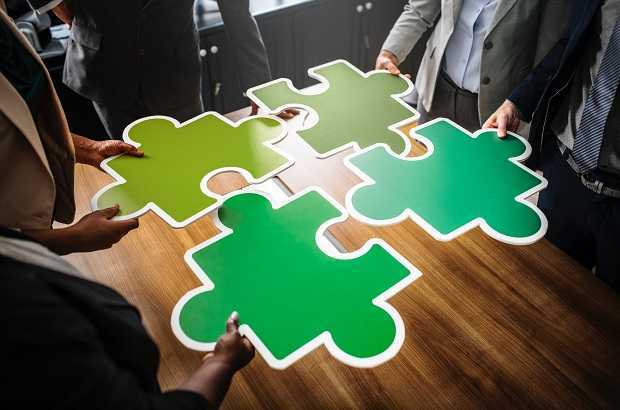 Climate stressors have already caused many physical and mental health challenges throughout the world, as individuals, communities, and even nations are forced to adapt to shifts in global temperatures, weather patterns, storm intensity, and sea level. Some island nations may have to leave their entire lives in the form of sea level rise, citizens have to be forced to move somewhere else. In other areas, citizens and economies diminish because snow affects cities. Changing weather patterns can disturb electricity availability, and while power outages are inconvenient to all, they can be life-threatening to the elderly and ill who have less resilience to extreme weather. Climate stressors also have many chronic mental health impacts such as higher rates of aggression and violence, more mental health emergencies, an increased sense of helplessness, hopelessness, or fatalism, and intense feelings of loss. Major disturbances in life come from natural disasters or national emergency and life changes like a move or divorce. People may experience intense, unpredictable emotions, sensitivity to the environment, and vivid memories or dreams after major disturbances and natural disasters. The most intense effects, of course, will be for those with the closest proximity. However, any major disturbance that affects community or life – even though the news – such calamities cause long-term, low-level stress. A major disturbance can be caused due to epidemic diseases such as Ebola hitting West Africa, an act of violence that kills racial injustice. Personal issues such as divorce or loss of any loved ones can also act as a major disturbance or unrest. Active military and veterans, especially those who serve in the theater of war, also have to face great trouble. The body can initially respond to intense incidents with a fight-or-flight reaction. But after months and years of TV network forgot a tragedy, people are rebuilding their homes or communities - and they are being affected by residual stress. Another common reaction is to develop post-traumatic stress disorder (PTSD), in which a person is triggered by stimuli in his environment. Today, the world is so different than its previous natural state; we face the anthropogenic stressors of noise, movement, and crowding. With 7 billion people on earth, humanity is stressful on natural systems. Species are disappearing and ecosystems are being damaged. More than half of the world's tropical and temperate forests have gone now, and the global loss of coastal wetlands has kept one-third of humanity which lives within 100 km of the sea at greater risk than sunlight and storm. Most people live in an environment that is very much crying with the more natural setting that humanity produces. While cities have their perks, traffic, the constant noise, movement, and crowding take their toll on the body and mind. People who live near the car, aircraft, and railway noise experience higher blood sugar and diabetes, greater arterial stiffness, increased blood pressure and higher levels of stress hormones. Anthropogenic stressors also affect in subtle and conspicuous ways. Crowding and excess stimuli in our environments caused by overpopulation, or just having millions of people living together in small spaces can cause depression and emotional stress. Ergonomic stressors come from factors that affect our body posture and spinal alignment. We may experience ergonomic stress from bad posture, poor shoes, exercise injury and sitting or standing for too many hours at a time. Most workplaces have not been designed in the brain with people's true needs and health. So they often cause ergonomic stress, as well. But studies have shown that in particular nature can reduce environmental and ergonomic stress on the environment. Work environments with greenery and sunlight had 15 percent greater employee productivity. Working in biophilic workplaces may cause to feel happier, more creative and more motivated for the people. According to the researchers of Harvard University, industrial chemicals that are widespread in the environment have caused a “global, silent pandemic of neurodevelopment toxicity” causing harm to the brains of the next generation. A few hundred years ago, people were surrounded by nature and had eaten naturally grown foods. Today, we live in a more industrialized and chemical-saturated world and encounter thousands of chemicals daily: pesticide residue on our food, antibiotics, and hormones fed to food animals, and our beauty and chemical products in household products and even in our carpets and furniture. While they may not cause blatant mental stress – unless we live next door to a chemical factory – these substances physically stress the body. Although there are natural detoxification procedures in the body of the liver and kidneys, these organs rarely come with thousands of chemicals, which means they accumulate in the body and brain, potentially causing chemical stress and many long-term health problems. When the body’s immune system can not keep up properly, a major illness may occur. For example, biological stressors in the form of pathogens, like viruses, bacteria, and parasites, as well as allergens. Many people have food allergies and sensitivities – sometimes we may not even know about them – that affect the proper functioning of the digestive system, which in turn affects everything from our skin to our mental health. If someone has allergies, he knows it very well, but allergens are substances in the environment that cause an allergic reaction in the body, ranging from grain to sneezing and serious watery eyes for allergic reactions that affect the air from the eyes. Sometimes autoimmune diseases may cause our body to attack itself. These cause mental stress and physical constraints on our body’s ability to naturally overcome the issue. From the beginning of humanity, people used minimal light at night, but today, most people use lights late in the evening, including light from our cell phones. Physical environmental stressors can include alterations to natural light, color, and energetic vibrations. Too much sunshine or not enough can work as both stresses. During winter, people living in northern latitudes without sunlight can experience seasonal stimulant disorder, during these situations the depression and "blues" situation. According to the researchers, the excess and unnatural light affects our body’s circadian rhythms and lowers levels of the sleep hormone melatonin, which means disrupted sleep cycles. Blue wavelength mostly causes problems in the evening hours. Artificial lights, especially blue lights and fluorescent lights, which are used in many work environments, can tense our brain and body. Even energy-efficient LED light bulbs, which are often described as the better alternative for the environment, can also create stress on the body and mind. What to do about environmental stressors? While we may not be able to eliminate certain environmental stressors, most people can reduce their exposure to them. Here are a few ways to reduce the impact of many environmental stresses we face. Climate stressors: We can counter climate stress by taking positive action to make a difference, staying prepared for weather events by keeping emergency supplies on hand, like water, candles, canned food, a gas camp stove, and a first aid kit, reducing our footprint, eating less meat, as meat has a very high energy footprint, and counting how much energy we use. Major disturbance stressors: Research has shown that spending time in nature, meditation, exercise, and good nutrition can have profound impacts on our resilience in recovering from a major disturbance. The survivors of natural disasters or other painful situations give time to recover themselves, seek external help and join self-care. Anthropogenic stressors: Research indicates that spending time in nature and including more nature in our life – even houseplants or nature artwork in our home and office – can reduce our stress. We should create spaces and times where and when we can enjoy complete quietude, reclaiming our power over the noisy world. If we cannot move away from a noisy highway or railroad, we should get white noise generators or small fountains that play the sounds of nature while we rest. Ergonomic stressors: Chiropractors can do wonders for ergonomic stressors, but it is best to be proactive rather than reactive, minimizing stressors where possible. We should see whether our company might improve the workplace environment. Also, we should take time in our workday to stretch, or try a standing desk and meditate during our 15-minute break, closing our eyes and imagining ourselves in a beautiful natural setting with a smile on our face. Energetic stressors: We should take a vacation from technology – or take regular breaks from it and turn off our phone at least a couple of hours before bedtime or, at a minimum and turn down the light brightness. In cases where we cannot move away from energetic stressors, we should engage in regular stress relieving exercises to build our physical and mental resilience. Chemical stressors: The chemical and toxic metal detox can help our body eliminate toxicants, ensuring the organs work more efficiently. We should buy organic food, use natural beauty products and cleaners, and avoid exposure to harmful chemicals whenever and wherever possible. Also, we should create a healthy home environment with good insulation, use air filters, and buy products that minimize the use of furniture, sheets, and other products created with organic materials, without flame retardants or containing chemicals. Biological Stressors: We should wash our hands regularly and thoroughly with soap and hot water to minimize exposure to germs and keep our body as healthy as possible by eating a well-balanced, nutritious diet – ideally plant-based. Also, we should build our body’s natural resilience and boost its detoxifying abilities by performing a whole body cleanse or cleansing the colon or liver. It is very helpful to spread kindness, smile often, and forgive. We should find ways to laugh – a comedy show, a funny movie, or a great friend with an awesome sense of humor and laugh hard and often. These small acts can change our lives and improve our health. Physical environment stressors: We should always become aware of our environment and take a break from our cell phone at night, as mentioned before. If we live in a locale with minimal light at night, we may need to increase our exposure to light, perhaps through a daylight therapy lamp, or take natural supplements that reduce anxiety and depression during the winter months. Also, we should purchase yellow-tinted glasses to reduce the impact of the glare from our computer screen on our body, especially our eyes. Some species of wild plants are adapted to live in a dry desert environment with seasonal rains in low quantities and high air temperature most days of the year. In addition, the relative humidity of the air is very low and the soil water stress is also very low most days of the year. So why can these plants live in such environments with dryness in most months of the year, while other plants die if found in such conditions? Humans are now sensitive to multi-dimensional environmental stressors, although humans have played an important role in making these environmental stressors. We hear a lot about environmental pollution due to the dissemination of gases from combustion processes emitted from works, cars, vessels, etc. Some of these gases produce respiratory problems and if they increase the volume they then turn into toxic gases, and some of these gases interact with humidity in the atmosphere, which produce acids that return to Earth with rainfall. These acids cause harmful effects on fish, for example, roam the roots of trees and harm them. Naturally, these losses eventually reach the human and finally cause stressors.